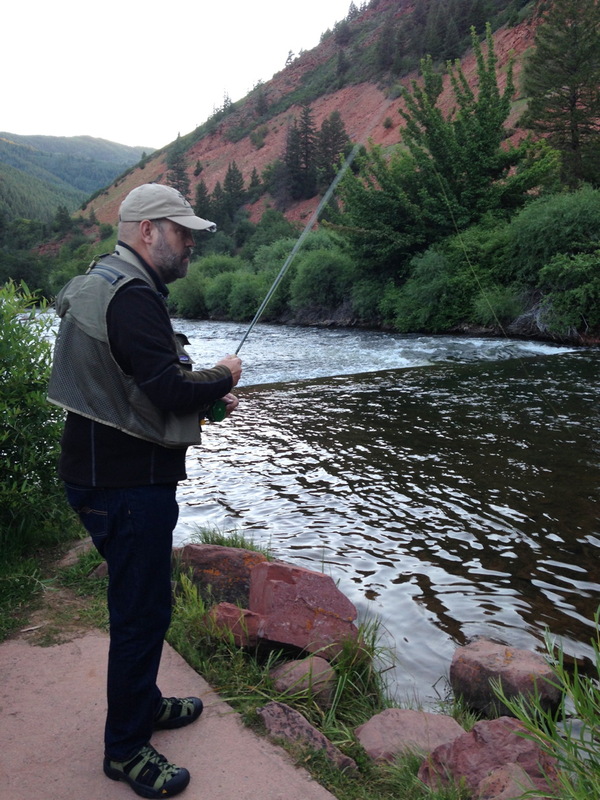 By way of re-introduction, my name is Marc McKenzie and I’m a trout-a-holic. 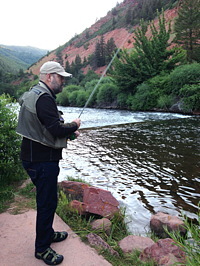 In the late 1980s I was a member of Rocky Mountain Flycasters, but family and work eclipsed my free time - though I have always found bits of time here and there to fish. Excellent Local Drake PatternsThe last few years I went through a life-and-death struggle with a blood cancer, followed by a stem-cell transplant. This has left me pretty chewed up and the best doctors tell me that it could take a minimum of five more years to recover—and even then no better than 60% of my previous health. The great news is that I’m alive, and have reached my first cancer free year! Going through this has given me an enormous amount of time to think and reflect on what is important in life, and what I enjoy doing most. 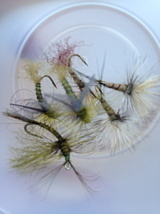 The top of the list is fly fishing and conservation of our beautiful watersheds here in Northern Colorado. So with renewed commitment I re-joined Trout Unlimited this time as a Lifetime Member. Because I’m not well enough to do the the fun hands-on projects—like stream restoration—for now I am making my contribution as a non-voting consultant to our president and board of directors on special projects. Right now that’s looking at our IT strategy and resources, because we’re getting pretty big and there’s a lot going on in this space. I look forward to getting to know all of you! Tying on Flies battling Neuropathy Shakes Now for a fishing story. 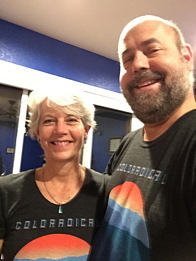 Last week my wife and I were in Aspen for roughly half classical music festival and half fishing the Frying Pan and the Roaring Fork rivers. Gold Medal waters—yes! Our last night my wife drove me to a somewhat remote handicapped fishing access on the Frying Pan. My balance is terrible and even with a wade-staff I’m not safe to enter water. A very thick green drake hatch was coming off, and I about peed my pants trying to get setup and get the local dry fly drake patterns I’d purchased at Frying Pan Anglers into the water. The water was smooth, crystal clear, and in the early evening I could see all the fish activity. Working my casts on my Winston 5 weight with intensity (a little rusty after 5 years spent in hospitals), I finally got good casts reliably floating over the biggest fish we could see—and then *>pop<* a very splashy take by a bright, super healthy football shaped rainbow that was not going to land easily. She came out of the water at least a dozen times as I worked to land her, and that’s when the comedy began. Casting my Winston My wonderful wife Janny Kay has never been interested in our sport, but because of my condition she was there to help. So realizing that I would not land this fish from a concrete sidewalk, I asked her to land the fish. I did not realize that she wasn’t clear on which end of the landing net she was supposed to hold—she kept trying to land this girl by scooping her head first, which just sent the rainbow plowing back into the river and taking line. Finally I was so worried about overworking the fish and killing it, that I said “aw @#! !, give me the net” and climbed into the river in jeans and sandals and handed her the fly rod. That’s when my terrible balance kicked in and I went over with no control into the drink. The stream rolled me over and sucked me down to the bottom for a minute. The Frying Pan is very interesting to watch from several feet underwater, but also very cold. I realized I couldn’t gain footing, so I crawled along the bottom until I got near the bank and could surface, and net still in hand scooped up that beautiful trout. Marc and Janny Kay McKenzie You’ll see the one picture is not so hot, but I promise you that the fish was 16-18 inches long and fat, fat, fat as a football. Because the fish is at the bottom of the net, half immersed in water it hides the girth. My wife guessed 4.5 lbs, but really we had no real measure for weight. 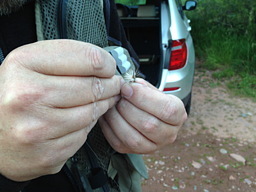 We didn’t want to tape her because she had experienced enough trauma—so with a flick of my Abel hemostats the fly was out and I was reviving the fish until she said goodbye with a last big splash. After several personally horrible health years and several very close runs near death, this was the most life affirming experience I’ve had in a very long time. Even though I now had hypothermia and was shaking violently, I kept laughing exuberantly and weeping with joy. Being alive is fantastic. Being alive and landing a beautiful wild trout is a gift, and why we all believe in and work toward better cold water conservation! 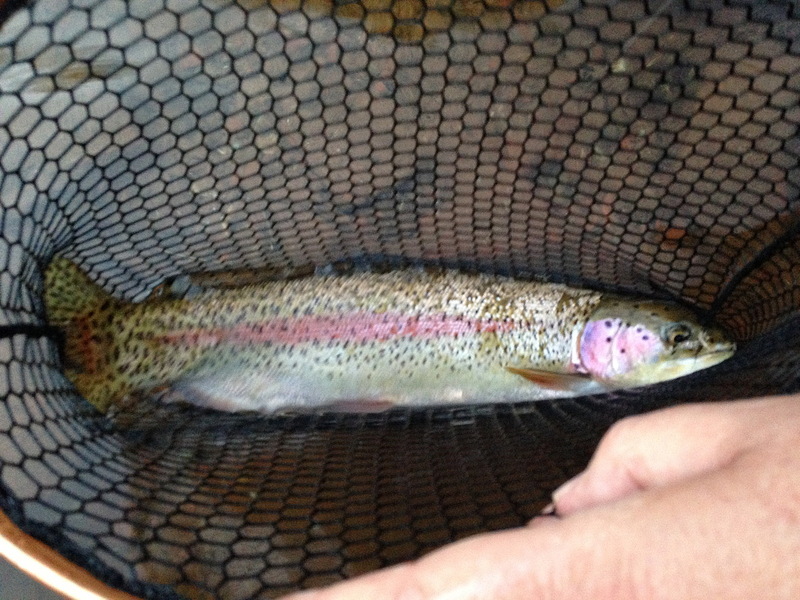 On the way home, my wife declared that that was so exciting she wants to take a fly fishing class. It just looks too fun. You may click on the pictures to see larger images.